The plastic containers are disposable transparent round plastic food packages. These containers with lid are classic disposable food containers. The disposable containers are from Polypropylene. 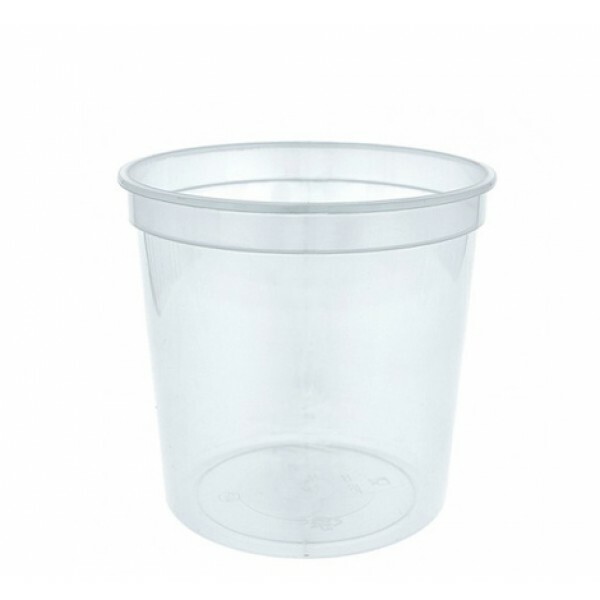 The plastic containers are used at home, in offices, in waiting rooms, in cafés, in restaurants, at a party, at a picnic, on a plane, in retirement homes, on vacation ... These disposable plastic food containers are so handy that they can be used everywhere. It is now not necessary anymore to throw the food leftover at the end of the meal. The transparent round plastic food containers come in a pack of 10 plastic food packages. The transparent food containers are also available in other dimensions.